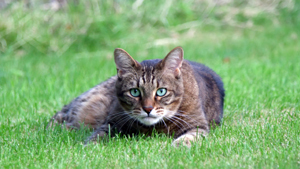 Should I Spay or Neuter My Cat - Is it the Responsible Thing to Do? Many cat owners do not spay or neuter their cats. There are multiple excuses for failure to perform these simple procedures. Some don’t want to bear the cost of spaying or neutering. Others think it is “cruel” to do so. Yet others simply don’t see a reason to spay or neuter their pets. In all cases, the pet owner is making a terrible mistake by failing to spay or neuter their pet. The main reason it is important to spay or neuter a cat is because there is a terrible overpopulation problem with cats. In fact, the United States alone has puts over 10 million cats and dogs to death every year by euthanasia. This is performed routinely in animal shelters because there are simply too many animals and not enough homes for them to live. The majority of cats that are put to sleep are healthy and friendly animals. The majority of them are also young. For the sake of the animals, it is important to have then spayed or neutered to avoid creating more animals with no place to live. Having the cat spayed or neutered is also beneficial to the pet owner. First, a pet that is spayed or neutered tends to be better behaved and is more responsive to humans. In addition, cats that are spayed or neutered generally have a longer and healthier life, which means the pet will be around much longer to be enjoyed and loved. Also, the improved health of the pet means fewer visits to the vet. In fact, it has been shown that spayed felines are less likely to develop mammary cancers and neutered males are less likely to develop uterine infections. In addition, cats that are spayed or neutered are less likely to “mark” their territory with smelly sprays or to damage furniture. Cats that are spayed or neutered also tend to live a safer lifestyle, as they are less likely to roam through the neighborhood in search of a mate or to try running out of the house every time the door is opened. To spay a female cat, the veterinarian removes the uterus and the ovaries through a surgical procedure. In general, it is best to spay a cat at around 6 months of age, or before she has her first heat cycle. The full name of the procedure is ovariohysterectomy. To perform the surgery, the veterinarian first puts the cat under anesthesia. He then makes a cut through the cat in order to remove the ovaries and the uterus. The incision is then closed with non-absorbable stitches, sub-cuticular stitches, or sutures. With non-absorbable stitches, it is necessary to bring the cat back in 7 to 10 days in order to have the stitches removed. With sutures, the sutures are placed below the skin. Here, they gradually dissolve on their own into the cat’s body. A female cat can also undergo a tubal ligation. With this procedure, the female cat is sterilized, but she still comes into heat and attracts males. For this reason, a tubal ligation is a less popular choice with pet owners. With either form of spaying, the female cat can generally return the same day as the surgery and can be active within a couple days. A female can be spayed while she is in her heat cycle, though most vets prefer not to perform the surgery at that time. There is often an increase in the cost of the surgery for cats that are in their heat cycle at the time. This is because the surgery requires extra attention to detail since the blood supply to the uterus is increased. Nonetheless, it is best to spay a cat during her heat cycle rather than wait because she may become pregnant to contract an illness from a cat she mates with. When a male cat is neutered, his testicles are removed after applying an anesthesia. Often, the cuts to remove the testicles are so small the cat doesn’t require stitches or sutures in order to heal. A male cat should be neutered by around 6 months of age. Neutering is not the same as a feline vasectomy. With a vasectomy, the cat is sterilized, but the cat will still be territorial. This means he will still spray and wander for a mate.